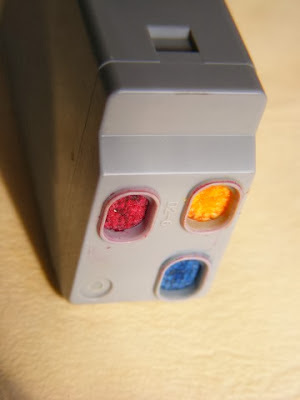 How to use only the tri-color cartridge to print in Canon printers, follow the steps below and if you have any questions, type a comment. The advantage of printing with a single cartridge, for example, the tricolor is that if one day the black ink cartridge is giving problems, we can get almost black color with the tricolor cartridge. Making a Canon printer to print using the color cartridge is not difficult, say that you can set in just 30 seconds, and can choose to do only once or temporary. Follow the procedures below to make the settings, in case you need help remember a question, gladly be answered. To make this and any other printer settings need to go to printing devices, please read our publication getting to printing devices depending on the operating system you use. And we started to print, from now on we print with only the tri-color cartridge, the documents will have black ink leaves a bit pale but will remain black. Importantly tricolor ink cartridge will wear faster than the black, never come to receive the same quality as printing with the black cartridge, and the truth will not help much to the printer. Just do it when no other option is receiving print quality of the black cartridge very difficult to accept.